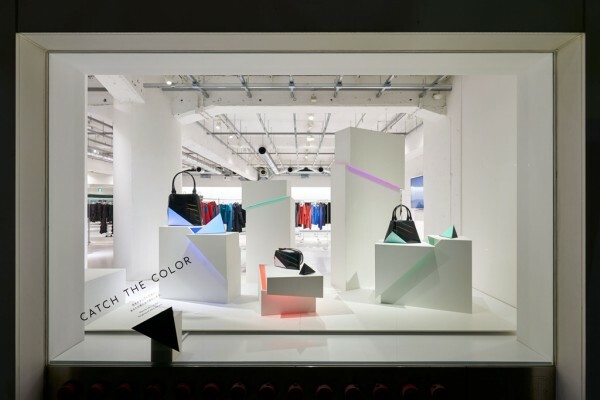 写真: 吉村昌也／Courtesy of ISSEY MIYAKE INC.／WOW inc.
Photo: Masaya Yoshimura / Courtesy of ISSEY MIYAKE INC. / WOW inc.
We created a window display to be deployed at 12 cities world-wide for ISSEY MIYAKE's “CATCH THE COLOR” campaign. We also performed the general direction for the 2016 Christmas theme based on a display design for a women's bag. 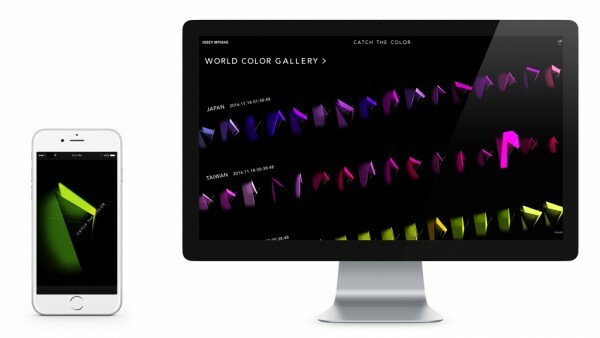 Our goal was to create a display that can communicate the impression one gets from a chance encounter with a world filled with beautiful colors, such as a rainbow after heavy rain or a sunset burning with a reddish-purple hue. First, a white box-like object was cut into two asymmetric shapes to let light leak out from the incised slit. 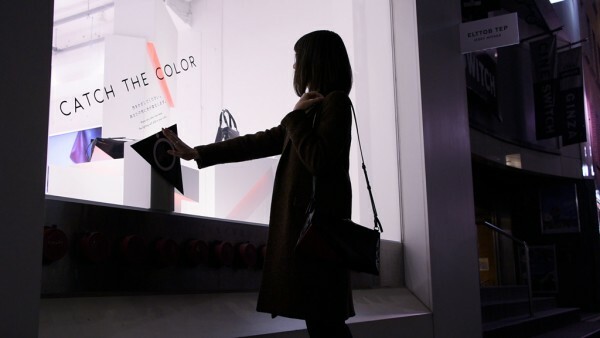 As the indirect light gradually colors the white surface, it blurs the boundary between the product and the pedestal, thus binding them as a single object. 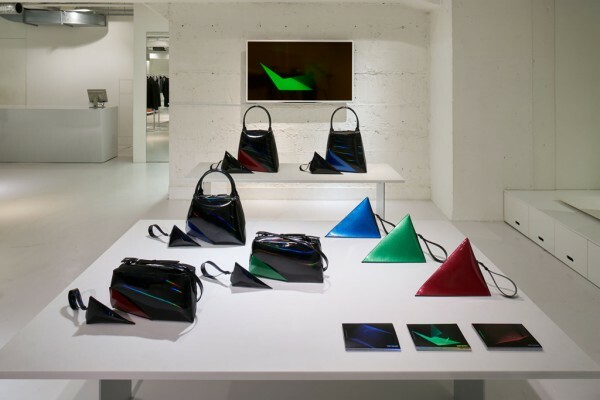 When light touches the bag, it emits a rainbow-colored pattern onto the black fabric in the background in order to reproduce the phenomenon that occurs when sunlight penetrates a prism and produces various colors. 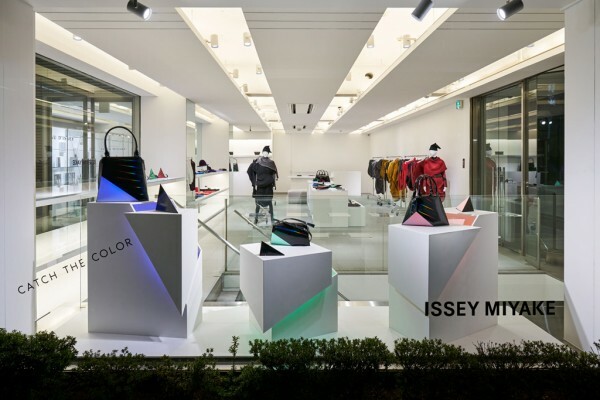 As a hands-on display for the ELTTOB TEP ISSEY MIYAKE / GINZA store, we also designed, with the use of an interactive device, an object that completely changes color when a colored light is held up against it. 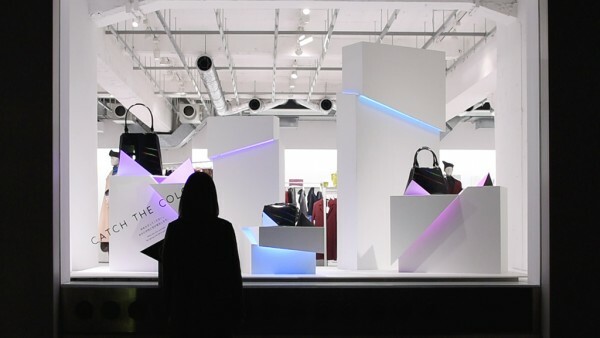 Normally, lighting is applied to a product from the outside, but in this case, we reversed the source of light and attempted to transform the space itself, including the product, with indirect lighting emitted from the inside.